This is a 5 hours Glacier Explorer Tour with a hike that is taking you along big crevasses and moulins all the way up to the icefall. 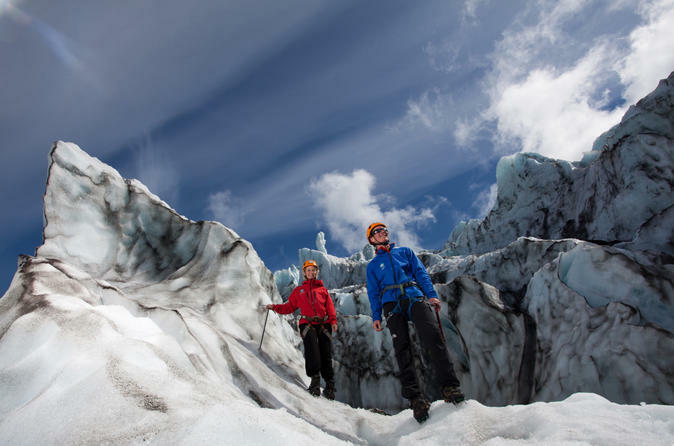 You will be walking on the glacier tongue of Europe´s biggest glacier Vatnajokull, while your guide is providing you with interesting information on the formation of glaciers. The Tour is operated in the Skaftafell National Park which is located in the south east of Iceland and a perfect opportunity to experience the size and force of a glacier. 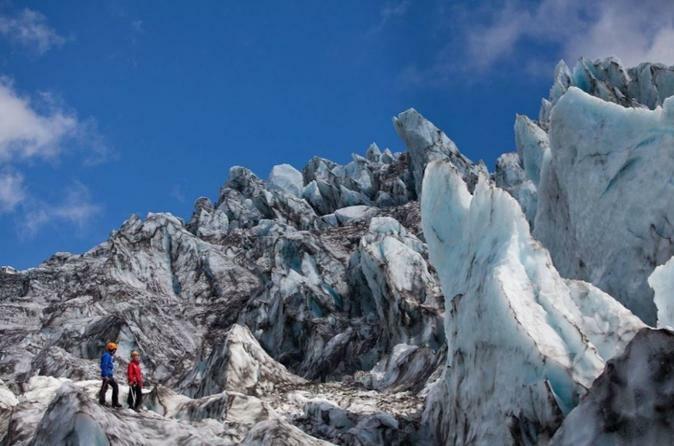 This is a 3 hours hike on the glacier tongue of Europes biggest glacier and a perfect opportunity for a first hand experience of all great things a glacier has to offer such as crevasses, moulins and glacier mice. While enjoying the view on the Skaftafell National Park you will be provided with interesting information on the formation of glaciers and get the opportunity to feel the force of misty Vatnajökull glacier. This is the ultimate Glacier Tour that is giving you enough time to fully explore the different ice formations such as crevasses and moulins. 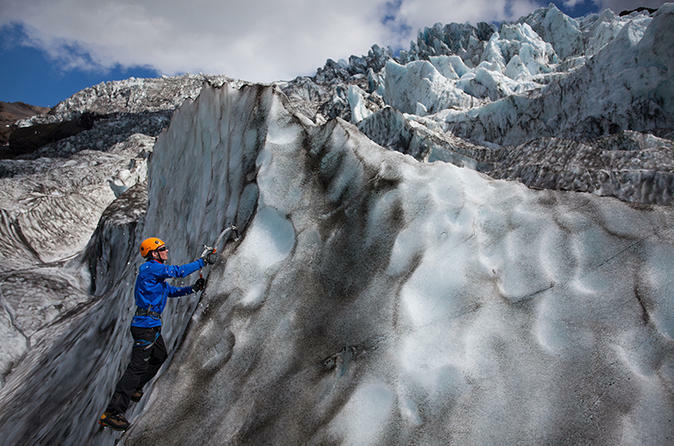 Besides the glacier hike on the glacier tongue of Europes biggest glacier, there is a high focus on ice climbing on this tour. With a very small group of a maximum 5 people you will get an unique experience and enough time to test your ice climbing skills on the magnificent Vatnajökull glacier. Other highlights on this tour will be the ice fall of the glacier as well as the magnificent views on the Skaftafell National Park. Enjoy a once-in-a-lifetime experience exploring one of Vatnajokull Glacier's stunning crystal ice caves on this 2-3 hour tour from Jokulsarlon Glacier Lagoon. The tour includes a guided visit to a crystal ice cave on Europe's largest glacier and all necessary glacier gear. We recommend that you dress warmly and bring waterproof clothing and good hiking shoes with you on this glacier adventure. 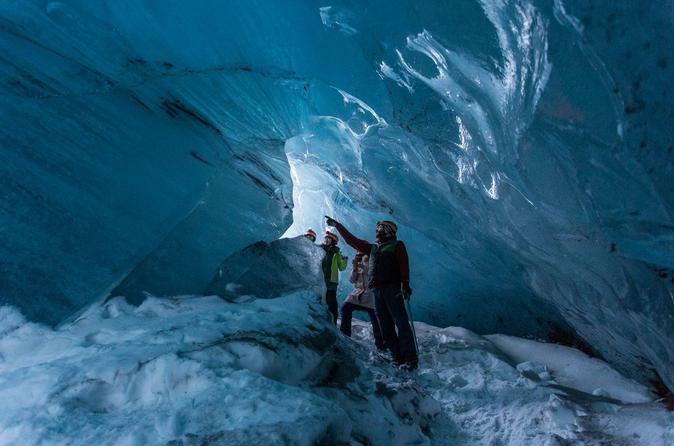 Enjoy this once in a lifetime experience exploring one of Vatnajokull Glacier's stunning crystal ice caves on this 2-3 hour tour from Jokulsarlon Glacier Lagoon. 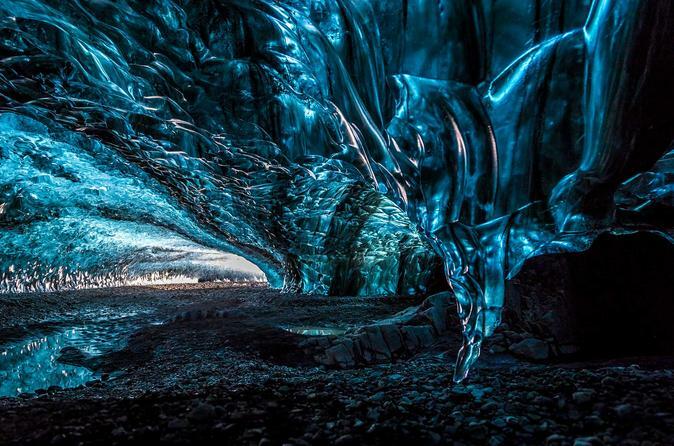 The tour includes a guided visit to a crystal ice cave on Europe's largest glacier and all necessary glacier gear. We recommend that you dress warmly and bring waterproof clothing and good hiking shoes with you on this glacier adventure. This is a 5-hour Glacier Explorer Tour with a hike that is taking you along big crevasses and moulins all the way up to the icefall. You will be walking on the glacier tongue of Europe´s biggest glacier Vatnajokull, while your guide is providing you with interesting information on the formation of glaciers. The Tour is operated in the Skaftafell National Park which is located in the south east of Iceland and a perfect opportunity to experience the size and force of a glacier. 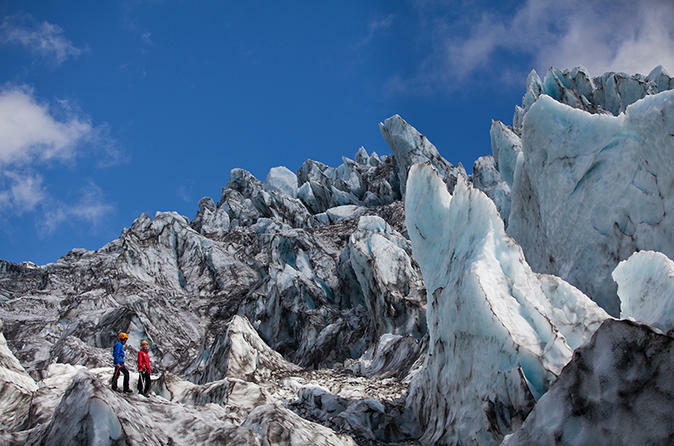 Set up for a 4-hour hiking and ice caving adventure from Skaftafell National Park where a professional glacier guide will lead the way to some of Vatnajökull Glacier‘s spectacular ice caves and tell you all there is to know about glaciers. This tour includes hiking for approximately 3 hours up on Falljökull Glacier visiting multiple, relatively small ice caves along the way. You will be provided with crampons for walking on the ice as well as helmets and ice axes. Waterproof clothing and hiking boots are available for rent but we highly recommend that you bring these items with you on the tour. 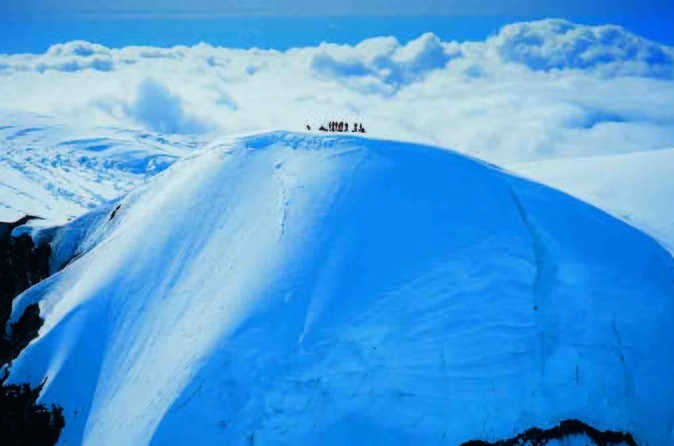 Included in this tour is a certified guide as well as all necessary glacier gear. This tour is ideal for everyone who wants to experience Europe´s biggest glacier from many different perspectives. 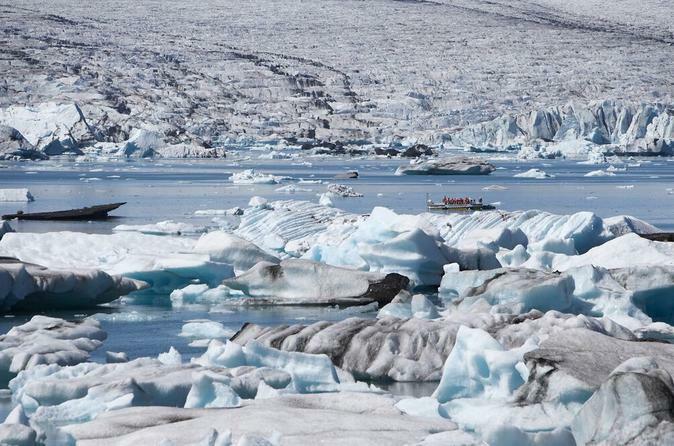 The combination of glacier hiking along big crevasses and moulins with a scenic boat ride on a secluded glacier lagoon and its floating icebergs is definitely a once in a lifetime experience. This tour is taking you to the summit of Iceland´s highest peak and ideal for everyone who likes to be challenged. Be prepared for a long hike on europe´s biggest glacier to reach the top of Mt. Hvannadalshnjúkur.